Property 3: Beautiful second row Villa - closest walk to beach access, pool, and tiki bar! Pets Welcome!! April 27 - May 4 OPEN @ $650!!!! Property 4: Pets Welcome!! April 27 - May 4 OPEN @ $650!!!! 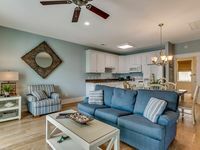 Property 6: North Myrtle Beach Resort Villa-5 Miles to Ocean! Property 7: PETS WELCOME!! APRIL 27 - MAY 4 OPEN @ $650!!!! Updated Villa with many upgrades including Golf Cart. Book now & Beat the Rush! Property 9: Updated Villa with many upgrades including Golf Cart. Book now & Beat the Rush! July & August dates are still available! Property 10: July & August dates are still available! 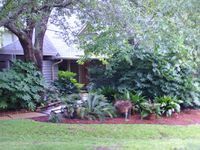 Property 11: Highly desired Kingston Plantation! NEW UPDATES! Great Rates! Free WiFi! Property 21: DIRECT OCEANFRONT in the HEART of NORTH MYRTLE! Wi-Fi * Balcony * Pool! Property 30: 4 Bedroom 3 Bathroom Golfers Paradise! Family Friendly at Sea Trail Plantation! Property 31: Windermere by the Sea 4 Bed 3 Bath Villa at Kingston Plantation. FREE WIFI! Property 33: 'Priceless' Almost Ocean Front , 4BR/4BA, Upgrades, Pet friendly, & Discounts! Property 34: Beach Villa in a gated community with just a short walk to the beach. Very bright, clean, updated condo with new carpet and furniture. We have stayed in many Kingston condos over the past 30+ years and this was one of the best. The owner was wonderful to work with. We would definitely stay here again.